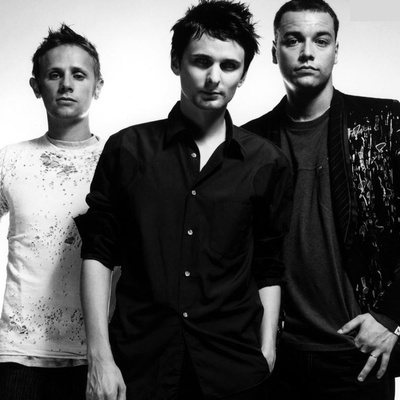 Muse is a alternative rock band from Teignmouth, England, United Kingdom. The band consists of Matthew Bellamy on lead vocals, piano, keyboard and guitar, Chris Wolstenholme on backing vocals and bass guitar, and Dominic Howard on drums and percussion. They have been friends since their formation in early 1990 and changed band names a number of times (such as Gothic Plague, Fixed Penalty, and Rocket Baby Dolls) before adopting the name Muse.